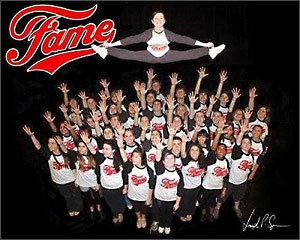 The Oak Lawn Park District productin of "Fame" features more than 40 teens from Southland high schools. The School of Performing Arts may be many miles away, but the teens cast in Oak Lawn Park District's "Fame" are just as passionate about theater as their New York counterparts. The local production of "Fame," based on Alan Parker's 1980 movie about students at the performing arts school and David de Silva's 1988 stage production, opens Friday for a two-weekend run at the Oak View Center in Oak Lawn. The musical score for this show includes tunes from both the film and stage musical. The cast features more than 40 teenagers from Southland high schools, including Marist and Mother McAuley, both in Chicago's Mount Greenwood neighborhood. Other high schools with students in "Fame" include Oak Forest, Oak Lawn, Queen of Peace in Burbank, Shepard in Palos Heights and St. Rita in Chicago. Director Erica Heilmann calls the cast "the creme de la creme," the best performers from local high schools. "Everyone was so tremendously talented that it was difficult to cast the show, so we double-cast some of the roles," said Heilmann, a community theater actress, a mother of three and oh, yes, the wife of Oak Lawn Mayor Dave Heilmann. Julie Benis assists Erica Heilmann in the yearly teen cast musical, which features choreography by Dawn Schnolis, sets by Gil Oliva, musical direction by Martha Hesse and conducting by Bill Hansen. "The students look forward to doing our yearly musical between their schools' fall and spring plays. They love performing so much that they cram rehearsals between their mid-term exams," Erica Heilmann said. "They have been rehearsing since December, and when they come to rehearsals they already know the words of the songs, their lines and the dance routines." "Fame" follows 10 inspired students from auditions and study at the performing arts high school to their eventual graduation. They are warned that it takes much more than dreams; it takes hard work to succeed and achieve fame, which is one of the musical's songs. Some of the characters are cocky, some are graceful and others are shy, vibrant or laid-back. And, of course, there are romantic episodes before the students head into the future. Among the many cast members who want theatrical careers is 16-year-old Marist student Dominic Rescigno, who is cast as Joe, his 13th theater role, and is having so much fun that he was able to get his father involved in community theater. Michaeleen Christakos, a sophomore at Mother McAuley, and 17-year-old Jamie Houlihan, who has been acting since age 3, are both cast in the bittersweet role of Carmen. Both tried out for the role because of Carmen's confidence and the show's songs, and both want musical theater careers. St. Rita junior Dan Moore won the part of Schlomo, which he calls a "fun role." While he enjoys theater as "something fun to do," he said he really wants to become an English teacher. Also in lead roles are Ryan Martinez, Marita Miller, Taylor Blim, Gianna Adorno, Sam Malone, Aurora Adachi-Winters, Theresa Reyes, Diane Haberkorn, Mary Kelly, Carolyn Earner, John Reidy, Corinne Kalebich, Rachel Page, Katelyn Peters, Becca Williams, Colleen Walsh and Cassidy Campbell. There also is a 20-member ensemble. "I'm gonna learn how to fly high. Baby remember my name. Fame. Jean Fleszewski can be reached at center_stage@sbcglobal.net. Where: Oak View Center, 4625 W. 110th St., Oak Lawn. When: Friday, Saturday, Sunday and Feb 22 to 24, with shows at 8 p.m. Fridays and Saturdays and 3 p.m. Sundays.